Recently, the funding proposal for China’s version of “Gossip Girl” was leaked, and it was revealed that Choi Siwon and Li Wei are both candidates for the lead role of Chuck in the Chinese remake of “Gossip Girl”. Netizens have stated that based on the American version of Chuck’s qualities, Choi Siwon is the best selection. In the popular drama “Oh! My Lady” that was broadcast in Korea a while ago, Choi Siwon’s performance was highly praised. He also had considerable popularity at the same time; undoubtedly, Choi Siwon will branch out into Chinese movies and dramas. In addition, Han Geng has the biggest hope of beating Zhang Han for the role of Nate. 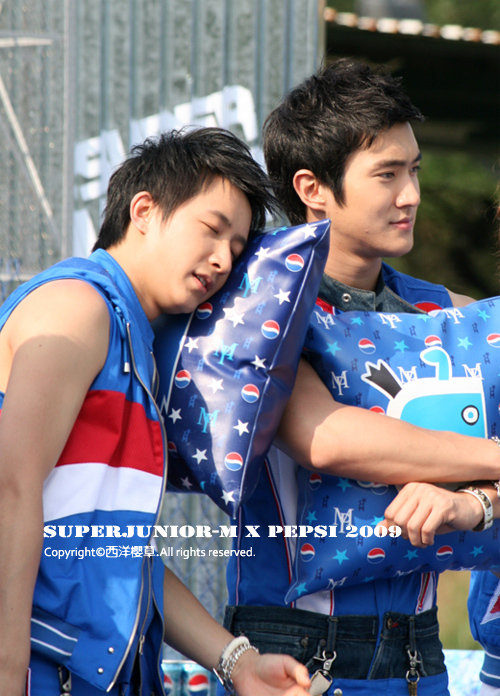 Within the members of Super Junior, Han Geng and Choi Siwon have the best relationship. There are netizens who revealed that Choi Siwon used Han Geng’s relationship to break into the Chinese market to film dramas and performances; supposedly, these various kinds of activities were all arranged through Han Geng. If there are good opportunities, then Han Geng will certainly look after Siwon so that they can both continue their brotherly relationship and appear together in “Gossip Girl”. The attractiveness of this drama is unequalled and is greatly anticipated. Also, it has been exposed that in order for the extremely popular “2010 Super Boy” Chen Xiang to appear on the Chinese version of “Gossip Girl”, it is extremely likely that he will be “eliminated” from today’s “5 into 4 knock-out competition” to fight with Zhang Jie for the role of Dan. Recently, he has even been rehearsing, campaigning, trying out for roles, attending training and classes, and dieting to maintain his physique, undoubtedly to do battle with the new and old Super Boys. This entry was posted on September 1, 2010 by heedina. It was filed under Boy Band, News, Solo and was tagged with Choi Siwon, hangeng, Super Junior Siwon.